Senate passes NFF bill, legalises football body – Royal Times of Nigeria. 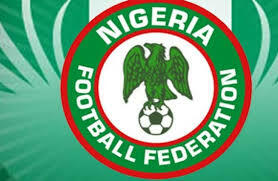 The Nigerian Senate on Tuesday passed the Nigerian Football Federation Bill seeking to legalise the country’s football governing body, Punch reports. This comes after the presentation of the report on the NFF Establishment Bill 2017, as presented by the Senate Committee on Sports, which was adopted and passed by the lawmakers.